Please see the open letter I have addressed to the city of Henderson and various library administrators, regarding an incident that occurred today, 8/23/2014. This letter is concerning the erroneous information that a library employee/volunteer may have regarding the carrying of firearms while in a public building. Today, while I was visiting the Paseo Verde library, a male employee/volunteer (approximately late 30s to early 40s, medium height, stocky build with dark hair) approached me and informed me that the handgun I was openly carrying on a holster on my belt was prohibited in a public building. This is incorrect. Nevada law only prohibits the concealed carry of firearms in public buildings where there is a metal detector or a ‘no weapons’ sign present at each public entrance. Openly carrying weapons as I was is not prohibited by law. Nevada state law also prohibits local authorities from making their own laws or regulations regarding carrying firearms (known as preemption). I violated no law by openly carrying a firearm in the library. The reason I carried a firearm into the library is for my own personal safety. One never knows when one might encounter a criminal or a deranged person bent on violent mayhem. I have no desire whatsoever to violate the law, only to protect myself in the same manner that I bring my cell phone (a lifeline to 911) with me wherever I go and keep fire extinguishers and smoke detectors in my home. I consider today’s interaction a small affair. No one was alarmed, outraged, or seemed to notice or care, aside from this one ill-informed employee/volunteer. In fact, every other interaction I’ve had regarding me openly carrying a firearm has been positive and supportive. I politely responded that state law only prohibited concealed weapons and that I was not violating any law. I offered to discuss this further with him and wanted to offer him a business card for an informative website regarding Nevada firearms carry laws, but he declined and walked away, seemingly upset. I am most offended because he made no attempt to engage in discourse with me or showed any desire to educate himself on the subject. Small-mindedness in a library of the 21st Century shocked me. I finished making my selection, checked out, and left without further incident. There was no shock, horror, or alarm that I could detect from the other patrons. While I have carried my handgun openly in this library before without incident, and I do not believe this to be a systemic attempt at violating Nevada’s rights within the Henderson library system, I was bothered by this incident and would like to call attention to the fact that openly carrying a weapon in the library is perfectly legal. I invite you and your staff to read the relevant statutes and to browse my informative website, www.nevadacarry.org. I do request that perhaps an email be sent to all library employees/volunteers informing them of the legality of openly carrying a firearm inside the library. Also, the sign at the door should be modified to state “no concealed weapons” as that is the only lawful prohibition. As of 8/25/2014, no response yet from the library administration. Is the Henderson Public Library system a public building? Some folks have been confused by the idea of a library district, separate from the city. Does that slight offset create some sort of public/private entity where the district can enjoy government benefits but also exercise private business powers? The Henderson library district says this about itself: “HDPL was established and operates as an independent governmental unit under authority of NRS 379.” NRS 379 regulates public libraries. It’s pretty clear that a public library, is, well, a public library. But just in case people aren’t clear, let’s delve a little deeper, shall we? NRS 379.120 states “The library and reading room shall forever be and remain free and accessible to the people of the city, subject to such reasonable rules and regulations as the governing authority may adopt.” Note that the second clause, with respect to open carry of firearms, should be pre-empted by NRS 244.364, as the board of trustees are appointed by the county, and NRS 268.418, as the library is a city library district. So I do believe that the Henderson Public Library system is a public library, while it’s not spelled out as clearly as we’d like. Feel free to open carry at the library, folks! Just please be respectful. 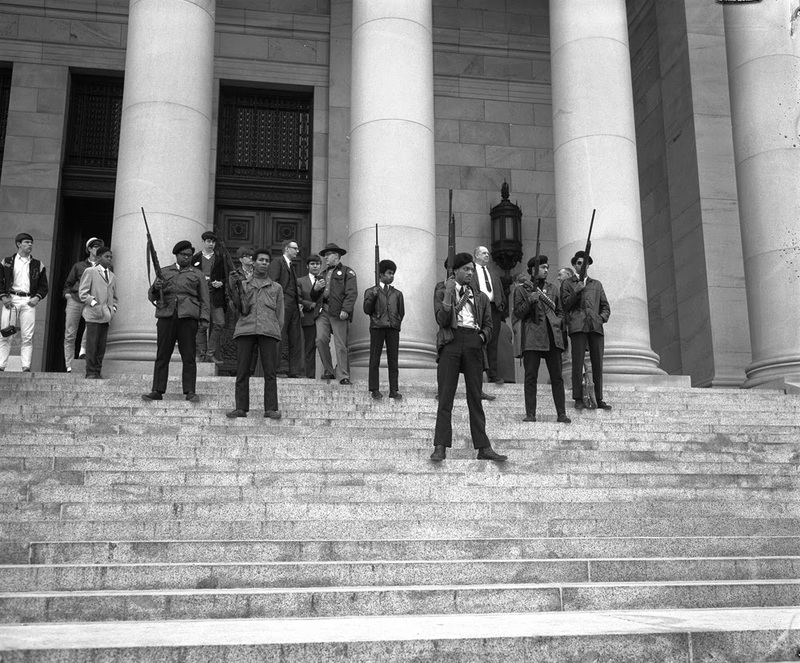 From the LA Times: "The defenders of the 2nd Amendment once had a powerful ally in America: the Black Panthers. The self-styled revolutionaries believed there's something powerful and liberating about holding a firearm in your hands. 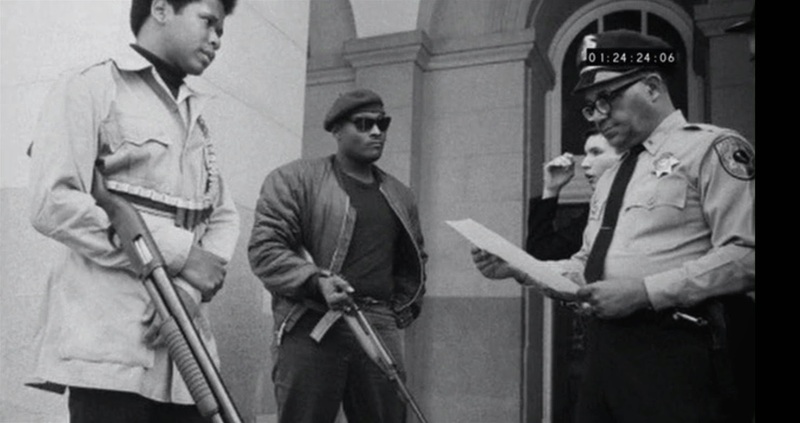 In "Black Against Empire: The History and Politics of the Black Panther Party," we learn that Huey Newton and Bobby Seale felt lots of gun love as they drove up and down the streets of Oakland in 1966. Back then, it was legal for California residents to carry firearms in public — as long as said weapons were held in full view. So Newton and Seale patrolled ghetto streets armed with rifles, shotguns and copies of California's liberal gun laws. To fight police brutality, they policed the cops. Time and again, their standoffs with officers ended with Newton and Seale giving lectures on the law. "What's the matter with you?" Newton told one officer. "You're supposed to be people enforcing the law, and here you are, ready to violate my constitutional rights.... You can't have my gun. The only way you're gonna get it from me is to try and take it." For a few surreal months, the newly formed Black Panther Party challenged the police again and again without a single shot being fired. These episodes make for some of the most compelling reading in "Black Against Empire," the authoritative if flawed new history of the Panthers by Joshua Bloom and Waldo E. Martin Jr., drawing heavily on the Panthers' extensive archives. Of course, "the man" quickly grew "hip," as they might have said back then, to the Panthers' tactics. California state legislators soon proposed a bill, the Mulford Act, that made it illegal to carry firearms in public. When the Panthers entered the state Capitol for a news conference carrying shotguns, it only greased the legislative wheels: Gov. Ronald Reagan quickly signed the bill into law." Notice how Newton and Seale did many of the things open carry advocates (as opposed to those of us who generally carry only for protection) do today. What was different then? Open carry in California ended because blacks were carrying guns. It wasn't liberalism that killed open carry in California, it was racism. 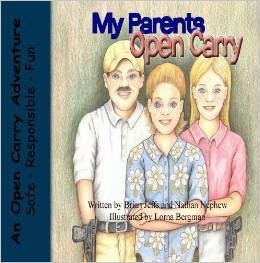 Did open carrying at the state capitol and to make a political point help or hurt the cause? While California's ban was racist, Chipotle ninjas open carrying their rifles should think twice on whether their actions will galvanize people for, or against, open carry. California in the 1960s wasn't the paragon of liberal equality that people imagine it to be. It was a racist place, just as the ultra-conservative poster boy Ronald Reagan wasn't a supporter of the 2nd Amendment.